Do you need a bigger file? The file available on this site is 1024 x 955 px. To obtain an alternate file type or higher resolution copy, please contact the owning institution. These resources are available for scholarly use in research and institutional history. All other uses, such as publication or distribution, require permission from the individual copyright owners and performers involved. Scope/Content: Audio recording of Elijah : An oratorio by Felix Mendelssohn, recorded at the University of California, Irvine Concert Hall on June 8, 1974. Performers: Dennis Fox, bass soloist ; Deborah Struble, Kerry Hyman, Katherine Magill, soprano soloists ; Michelle Ayers, Margery Deutsch, mezzo-soprano soloists ; Leon Alexander, John French, Kevin Golden, tenor soloists ; Michael Sanders, piano ; John M. Catanzaro, organ ; UCI University Chorus, Maurice Allard, cond. 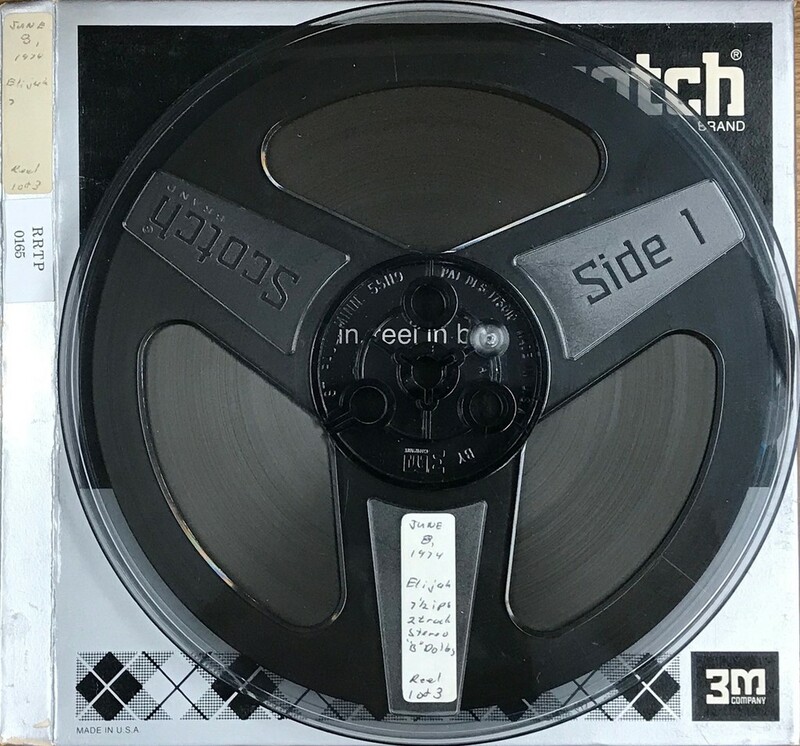 Conservation History: Digitized from reel-to-reel tape July 5, 2018 by Mass Productions, Tewksbury, MA. Duration: 01:46:14 ; 203.9 MB in three parts.